As of today, it’s officially legal to homebrew in all 50 of the United States. Mississippi’s governor signed legislation legalizing brewing at home back in March, and the law went into effect today. Alabama was the other holdout for legalization this year until its governor signed legislation in May, which took effect immediately. 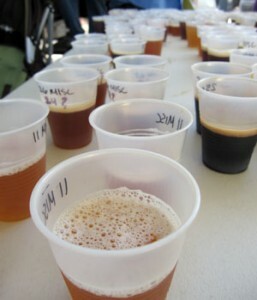 Many homebrewers say they’d brew whether it were legal or not. Regardless, legalization is important. Legalization is important because homebrew shops don’t have to worry about getting raided, with their equipment — and even books — confiscated. Brewers can brew out in the open without concern that their neighbors will report them to the police. Finally, and perhaps most importantly, legal recognition is another step in helping our communities understand that homebrewing is not equivalent to making meth or bathtub gin. Cheers to all of the people who have worked so tirelessly over the past few years to make our favorite hobby legal across the country and to modify laws in states where brewing was legal, but restricted. Fire up those kettles and celebrate Independence Day and brewing freedom! You’d lump “bathtub gin” with meth instead of with brewing? There are numerous hobby distillers in the US who are making great products – safely – at home, and they deserve legalization as well. After all, distilling doesn’t make alcohol (like brewing or winemaking does). Distilling simply concentrates that alcohol. If we legalized hobby distilling (as we should), we’d open up a whole new industry around craft distillation, just as we have with homebrewing and craft commercial brewing. The problem, of course, is that it’s hard to make yourself known in a fight for legalization when you’re breaking the law, so many choose to remain silent. I homebrew, but I do not distill. If it were legal, however, I’d pursue it in a heartbeat. It seems to me a natural extension of brewing. There’s plenty of good information online about how to do it safely, and I believe that it would provide me with countless hours of edutainment just like brewing has. My aim was not to disparage home distillers. The bathtub gin I was referring to was the prohibition-era stuff that was mixed with sometimes dangerous ingredients in questionable conditions. As commercial craft brewers venture more into distilling, the door may be opened a bit for those who want to distill at home. I have a feeling that’s a long way off, though.